This bag is able to transform to be longer or higher, appropriate for different situation. Order process for this item: Finish Product: https://i1243.photobucket.com/albums/gg541/hykcwyre/Information/eng_zpstdrtncob.png https://i1243.photobucket.com/albums/gg541/hykcwyre/Information/brand-concept-engpt1_zpsjwo9yq6l.jpg https://i1243.photobucket.com/albums/gg541/hykcwyre/Information/brand-concept-engpt2_zpsje81qzdk.jpg https://i1243.photobucket.com/albums/gg541/hykcwyre/Information/brand-concept-engpt3_zps68nb8gcf.jpg *** Description This Bag is able to transform to be longer or higher, it is easy to adopt for different situation. Made by Italian Calf Skin, it has a balance of sturdy and softness. There is a handle made by vegetable tanned leather. YKK Zip closure, there is a moderate volume inside, all the raw edges are covered by leather straps. https://i1243.photobucket.com/albums/gg541/hykcwyre/Small%20Bags/Soft%20leather%20toiletry%20bag/1Y1A9912_zpsgfkhm4ml.jpg https://i1243.photobucket.com/albums/gg541/hykcwyre/Small%20Bags/Soft%20leather%20toiletry%20bag/1Y1A9949_zpsaqsyyryy.jpg ***Details - Made by Italian Calf Skin - Can be transform to be higher or longer - YKK Zip Closure - Vegetable Tanned Leather Handle - Moderate Volume - Heat Branded Logo ***Dimensions: (Full Height) Length: 7 Inches Width: 4 Inches Height: 4 Inches (Full Length) Length: 9.5 Inches Width: 4 Inches Height: 0.75 Inches ***Leather Color https://i1243.photobucket.com/albums/gg541/hykcwyre/Information/Photo%203-6-2017%203%2004%2005%20AM_zpsaqfyewph.jpg Italian Calf Skin (Matt Surface) G1 Black G2 Sand Yellow G3 Brown G4 Xmas Green G5 Khaki G6 Fuchsia ***Leather Caring Each customer will receive a small can of our home-made leather balm. Simply apply it on leather every 3-6 months. For leather maintainace, use a dry soft cotton fabric/cloth, gently apply a thin layer of leather balm onto the leather surface, when it absorb into the leather, repeat the same step 2-3 time. *For Italian cow leather (C,E Series) there is a layer of natural wax on top of the surface, it will absorb/drop off upon use, the scale depend on how the user use it. When above 80% of the wax is consumed, you may consider for leather maintenance. ***Personalise * We are able to engrave your favourite quote, initials or names, (Addidtion fee needed for engraving 20 single letters or above) please feel free to send us a convo and we will make it happen. * If you have any request (such as width or specific shape), please feel free to send us a message, we treat your order as priority. * We can also engrave symbols, each symbol size is fixed should you need to know about the dimensions please feel free to contact us. https://i1243.photobucket.com/albums/gg541/hykcwyre/Information/1F1ST56_zpsuzcy7j7k.jpg https://i1243.photobucket.com/albums/gg541/hykcwyre/Information/IfW5sg8_zpscp7ilgrt.jpg ***Engraving Available Font and size : If there are no information about which style of font, we will use style 1 to engrave the word. https://i1243.photobucket.com/albums/gg541/hykcwyre/Information/fontstyle1_zpstp70kqao.png https://i1243.photobucket.com/albums/gg541/hykcwyre/Information/fontstyle2_zpsnugutlhh.png https://i1243.photobucket.com/albums/gg541/hykcwyre/Information/fontstyle3_zpsik8oqd2u.png https://i1243.photobucket.com/albums/gg541/hykcwyre/Information/Fontstyle-4-uppercase_zpshjvql3b7.png https://i1243.photobucket.com/albums/gg541/hykcwyre/Information/fontstyle-4-lowercase_zpsgbx1vgbk.png Only style 4 have Uppercase and Lowercase Let us know if you like our symbol on your product! https://i1243.photobucket.com/albums/gg541/hykcwyre/Information/1Y1A8136_zpswzxzpavp.jpg https://i1243.photobucket.com/albums/gg541/hykcwyre/Information/symbols65-102_zpsfkrgmtkd.png https://i1243.photobucket.com/albums/gg541/hykcwyre/Information/symbols103-113_zpslzxkhvvl.png https://i1243.photobucket.com/albums/gg541/hykcwyre/Information/symbols-114---120_zpsh7n2tij7.jpg *We are able to brand letters in gold / silver color (additional needed) https://i1243.photobucket.com/albums/gg541/hykcwyre/Information/fontstyle_zpsokwlhmmh.png * We are able to engrave monograms, additional HKD$50 is needed, A circle monogram with 32 mm diameter , personalized it with 2-3 initials of your choice. https://i1243.photobucket.com/albums/gg541/hykcwyre/Information/monogram_zpsw09wtrmj.png ***Color Samples https://i1243.photobucket.com/albums/gg541/hykcwyre/Small%20Bags/Soft%20leather%20toiletry%20bag/1Y1A9939_zpsshwkoabe.jpg (Top to Bottom) G1 Black G5 Khaki G6 Fuchsia https://i1243.photobucket.com/albums/gg541/hykcwyre/Small%20Bags/Soft%20leather%20toiletry%20bag/1Y1A9938_zpssmtmbrnh.jpg (Top to Bottom) G4 Lake Green G2 Sand Yellow G3 Tea ***Remarks *Color may vary slightly from screen to screen *If you have any request (such as width or specific shape), please feel free to send us a message, we treat your order as priority. 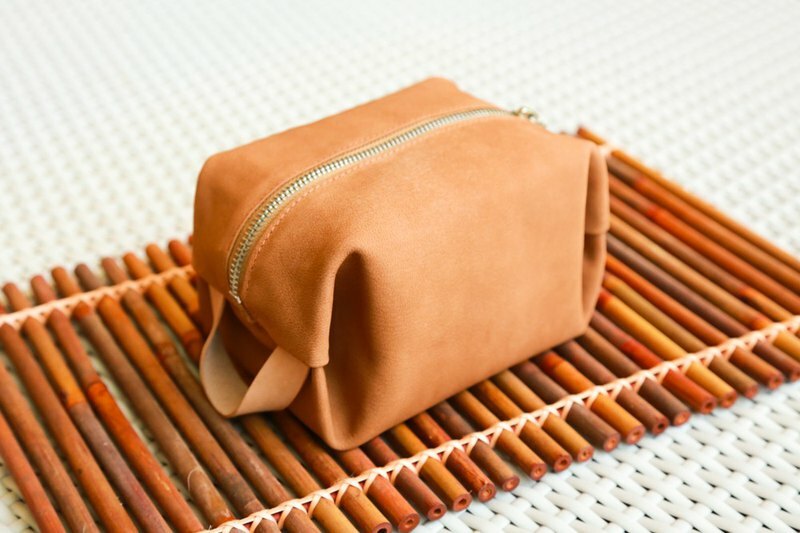 *Please visit my Shop Policies for production lead time and shipping before your purchase: *This case is all handmade, in our little studio located in Kowloon Bay, Hong Kong.